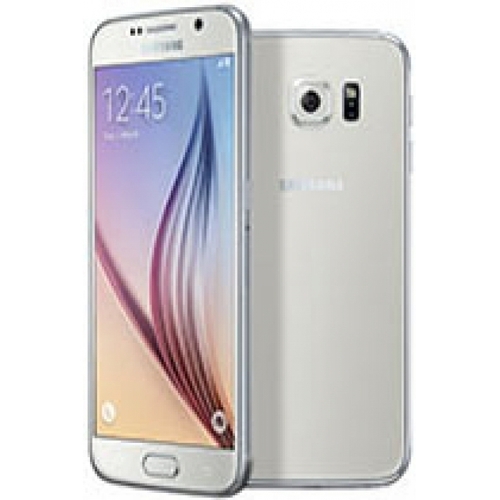 Sell your Samsung Galaxy S6 with OnReycle and get the most money. We compare all major phone recyclers in seconds. Performing in such competitive industries has encouraged Samsung to continually better itself, and its product ranges. This is true no more so than in the mobile telecommunications industry. Competing with huge companies such as Apple, Samsung has to consistently release handsets with the latest technology and functions. Whilst this satisfies consumer demand, it does leave old handsets almost redundant; reducing in value almost by the second. One of these older devices is the Samsung Galaxy S6. In 2017, Samsung are likely to release the S8 smartphone. No doubt this will include everything Samsung customers need, and more! If you are keen to get your hands on this, you may be considering ways that this could be funded. One option is to sell your existing Samsung Galaxy S6, to raise the cash. If this sounds appealing, OnRecycle can help you. We are a company who match mobile phone sellers with a buyer, quickly and easily. We have taken all the hassle out of selling - when you use OnRecycle, you do not have to shop around hundreds of recyclers, trying to find the best price. All major recyclers are available to access through the OnRecycle system, and the price they will pay for your Samsung Galaxy S6 appears within seconds. We have done the hard work so that you don't have to! When you log on to the OnRecycle website, you will notice a search bar at the top of each page - simply click on it and enter the text, 'Samsung Galaxy S6.' This will bring up a dropdown list of related phones. Choose the one that best matches the device you are selling. Once you have done this, we'll need to obtain a few more details in order to produce the quotations you are waiting for. In the grey boxes, amend the information to suit your handset. We need to know the phone's condition (broken, working or new) and the network your Samsung Galaxy S6 is locked to (if any). The other factor that will affect the Samsung Galaxy S6's price is the version you are selling. Choose between the 32GB, 64GB and 128GB versions, depending on which one you have. Once this is done, the list of quotations will update and you can view the fantastic prices that recyclers will pay you for your Samsung Galaxy S6! All of this information has appeared after just a few clicks, and in a matter of seconds. When it comes to choosing a recycler, you'll have a range of things to think about. Whilst it can be tempting to choose the recycler who offers you the most money, this does not necessarily mean that they are the best recycler for you, and we always advise you to consider other factors. One such factor is the reputability of the company. Sort the data by 'user rating', and the list will update to arrange the recycler with the highest number of stars at the top (just below our recommended recyclers). Feel free to click on the 'user reviews' link to learn a bit more about the recycler. Another factor to consider is the 'payment period.' Follow the above steps, to arrange the data based on how quickly the recyclers will pay you. It is also worth considering the method by which you will receive payment, as no one type will necessarily suit all. When you have chosen a recycler, you are ready to sell. Click on the 'sell now' button next to the recycler's name, and follow the remaining steps before receiving your cash. Most of the recyclers we deal with will offer you a freepost service, which allows you to return your phone free of charge. If you get the option to sell through OnRecycle, we advise you to do this as you will benefit from our expert advice and guidance. In addition, you will also be selling through a secure payment system. Once the cash is received, you can start to think about the next product you wish to buy, or pre-order. Here is our brief review of the Samsung Galaxy S6, to give you something to compare your next purchase with. The S6 was released in April 2015 by Samsung, amongst strong competition from devices like the iPhone 6 which came out in September 2014. It comes complete with wireless charging, a heart-rate sensor and a fingerprint sensor, which demonstrates how users have been placed at the heart of the design and manufacturing process. Furthermore, the Galaxy S6 also comes with the 'Samsung Pay' function, giving users a true 21st century experience! The phone has a 5.1-inch display, with a resolution of 1440 x 2560 pixels. It is operated through the super AMOLED capacitive touchscreen function, which seems to be standard of most modern Samsung smartphones. The screen can clearly display the high-quality photographs that the phone's 16 megapixel camera is capable of taking. The Samsung Galaxy S6 is available to buy as either a 32GB, 64GB or 128GB handset, each of which comes with 3GB of RAM. It comes with the Android 5.0.2 (Lollipop) operating system, but this is upgradeable to 7.0 (Nougat). The Samsung Galaxy S6 comes in either white pearl, blue topaz, gold platinum or black sapphire.